Mystery books are always a delight to read - they are suspenseful, exhilarating and thought-provoking for avid reasons. New mystery writer Rick Gangraw released his first book entitled Secrets In The Ice this October. 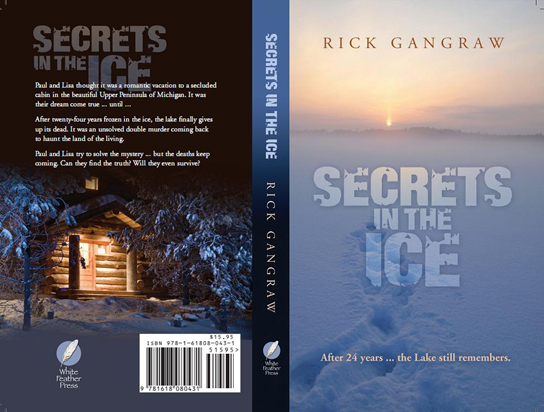 Secrets In The Ice has a plot that evokes mystery, suspense, fear, curiosity and thrill. In the novel, Paul and Lisa, a couple who are on a romantic vacation in a Michigan town at a lakeside cabin, unknowingly come across a dead body in the town lake. This shocking discovery leads to an exciting turn of events. They start to be eyed suspiciously by the townspeople, and after a second death in the lake, the couple becomes determined to investigate these deaths. Together with the help of a young librarian and her boyfriend, they soon find out that they appear to be linked to an unsolved 24 year old double murder in the same lake, far from being a new murder case. The couple tries to piece the clues and evidence together to unravel the murder mystery. Rumors from some of the townspeople have it that the ghosts of the double murder from the past are taking revenge now after many years, and are responsible for the recent deaths. As the couple learns more about the murder mystery, they become surprised and soon find that everyone seems to have a part to play. This upcoming mystery book by new author Rick Gangraw tells a tale of murder, suspense, intrigue and mystery. Mystery writers have a way of presenting clues and questions in an intriguing plot, and Gangraw has written a gripping, curious and spine-tingling story. Fans of mystery books can be expecting an enjoyable and thrilling read from this new mystery novel. Rick Gangraw lives with his wife and children on the East coast of Florida, and he wishes that they could spend more time at their family’s cabin on a lake in the Upper Peninsula of Michigan. He has traveled to over twenty-six different countries and has visited almost all fifty states in the US. 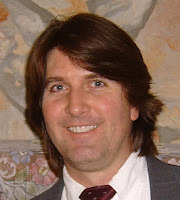 When he is not dabbling in fiction, he enjoys sports, hiking, kayaking, camping and researching family history.